Which brand hose reel is the smallest in width? 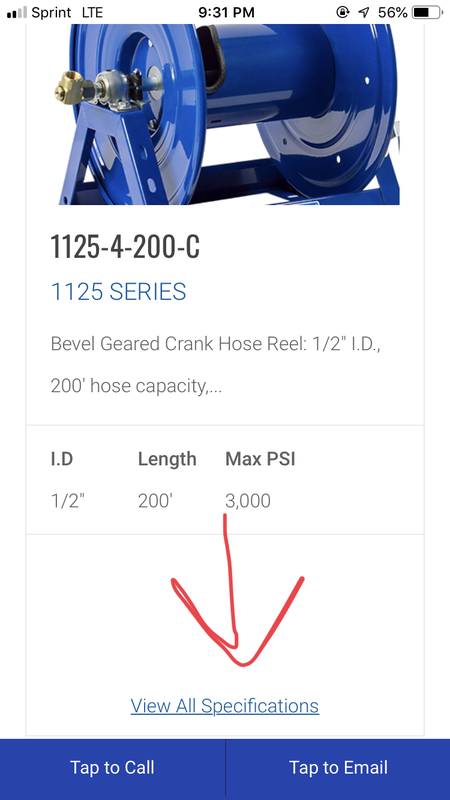 Wanting to fit up to 250 to 300 foot of 3/8” high pressure hose. Cox, gp, Hannay, titan? I need to fit it between my two washers and it’s a tight fit. So the smaller width the better. Hand crank too. I believe coxreels does, they do at least have the dimensions lsted for each model online. How much space do you have between the two? Cox and GP are pretty much identical in dimensions but not price. I have two cox reels mounted very close on one of my pickup rigs. 300ft is fine on the reels. From what I have been looking at, the dimensions are from disc to disc. 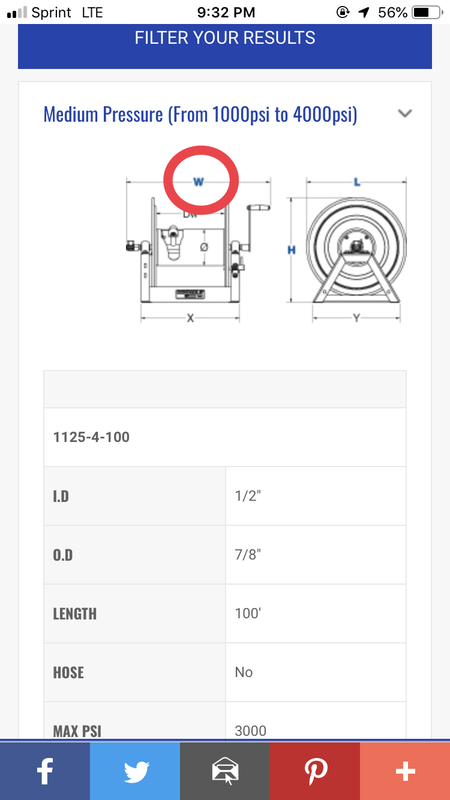 I am looking for swivel to end of handle. I have a 6x12 enclosed trailer with the two predator 670s and I’m wanting to fit stackable hose reels on a boat seat swivel on a track to slide it in and out of the trailer and swivel it to whichever direction I am doing the work. Then slide the stack back in when the hoses are rolled up. May just pull the plug on some gp reels since they will be covered and used on about 10 house washes a week. It’s part time. Someone mentioned the gp are huge so I was worried about width. Got any pics of that already setup? You reading my mind or something? The GP are not huge at all. Same exact dimensions as the cox. I use both and they are the most compact. Here is one of my rigs with both GP and Cox reels. The GP is on the back, and the Cox is on the side. Perfect thanks a lot! I have put so much thought into this build. And my reels are next to last. I’ve put a barn door track on the ceiling with a hanger attached to the wheel so I can slide my ladder in and out with ease. Now just to install the reels and organize a little bit more. Thanks for the help. I’ll be going with cox or gp then. Haha I actually was thinking of how nice it would be to be able to slide my hose reels in and out from the back of my trailer (barn door) but then got to thinking if I could put a boat seat swivel under it with maybe some heavy duty drawer rail tracks or something to slide it out and turn it whichever way I want. That would be nice. Use 4pieces of square metal tube, 2 of different OD. 2 tubes should be able to slip into the other bigger tubes with a slight resistance for that telescoping effect. Mount the 2 big tube onto the floor, and the smaller inner tube cut it to size so that it fits where needed and drill a hole for a pin to keep it in place. Mount your reels and swivel to the inner tube and slide it to preffered distance and drill another hole for another pin to hold it at that distance. Pull pin to retract or expand. Not completed, but will remember to update. 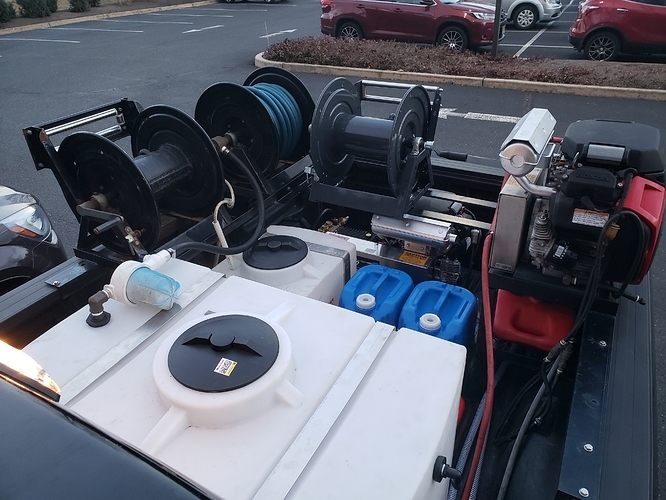 I’m wanting to fit stackable hose reels on a boat seat swivel on a track to slide it in and out of the trailer and swivel it to whichever direction I am doing the work. If this is your plan, why not just set it up so that you turn the reels sideways before sliding them back into the trailer. That way pretty much any reels you like will fit in the same space. Some have said the GP are actually Cox reels.